SNICKERS Full Size Chocolate Bars are a delicious snack that friends, family and party guests will love. Bring them to the office, use them in gift baskets or stock up your pantry. Packed with milk chocolate, peanuts, caramel and nougat, SNICKERS Singles Size Chocolate Candy Bars make a tasty chocolate treat. 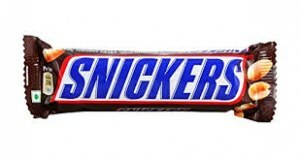 Remember, You're not you when you're hungry.